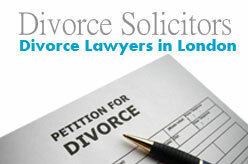 Find a list of Divorce Lawyers in London England. Vardags is a top family law firm / matrimonial law firm headed by ‘Britain’s Top Divorce Lawyer’ Ayesha Vardag and specialising in all areas of family law. one of the best-known specialist family lawyers & divorce lawyers in the UK. Areas Of Practice – Divorce Solicitors, Finances and Divorce, Child Arrangement Orders, International Family Law, Civil Partnership, Wills, Tax, Trusts & Probate Service, Cohabiting Couples, Prenuptial Agreements, Mediation & Collaborative Law, Family Law Arbitration, Legal Rights For Grandparents, Domestic Violence etc. – Immigration, Divorce and Family Lawyers, Personal Injury etc. a family law team will help you at Farani Javid Taylor Solicitors LLP. Services are Annulment, Pre-Nuptial agreements, Child maintenance and welfare, Separation residence and contact disputes, Collaboration and mediation, Divorce, International disputes etc. One of the specialist divorce law firms in London. Covers Family Law including Divorce, Marital Breakdown, Childcare, Cohabitation, Civil Partnership, Financial Settlements and Negotiation. Law firm based in Wimbledon London SW19. Personal and Business Legal services for Wimbledon area and the UK. Personal and Commercial Law firm based in Woolwich, London. 18-36 Wellington Street, Woolwich, London SE18 6PF, UK. Specialise in divorce, finance, property disputes & children issues. London E1W 3EN, United Kingdom. Based in Bristol BS1 4NH and London WC1V 7QT. London WC1V 7QT, United Kingdom. Divorce lawyers based in Barnet & Enfield. Divorce and Family Law Solicitors based in London. Specialises in UK immigration law. London E15 1EN, United Kingdom. Practicing legal matters including Divorce and finances, Injunctions, Children, Cohabitation and civil partnerships etc. Fixed Fee consultation Divorce Lawyers and Family Law Specialist Solicitors, Civil Partnership, Children Law and Family Finances legal advisors in London. Law firm in East London offering Divorce & Family law advice, Corporate and Personal Immigration law services etc. More than 20 years of experienced, and deals with complex cases of all types family matters including separation, divorce, cohabitation, matrimonial finance, private children law matters etc. 63 St James St, Walthamstow, London E17 7PJ, UK. Family and Divorce law firm in East Ham, London (UK). Deals with all types of dismissal and discrimination cases, as well as Immigration and family matters. 2 Heigham Rd, London E6 2JG, England. Legal services for private and commercial clients; based in South Woodford, London. 5/6 The Shrubberies, George Lane, South Woodford, London E18 1BG. Advising and representing clients in all types of family matters including divorce, co-habitee disputes, children and financial agreements. One of the UK’s largest and well known law firms with offices in London and other areas in England & Wales. London WC2A 1HL, United Kingdom. Offers private and commercial legal advice and services including Dispute Resolution, Family law, Powers of Attorney, Personal Injury, Conveyancing, Wills and Probate matters. Kent DA6 8BB, United Kingdom. London and Kent Solicitors specialising in Domestic and Commercial Legal Services including divorce law, family law, Spouse Visas, child custody law, Visitors Visas, Immigration Appeals etc. Kent BR6 0NW, Greater London, United Kingdom. Page updated : November 9, 2017.